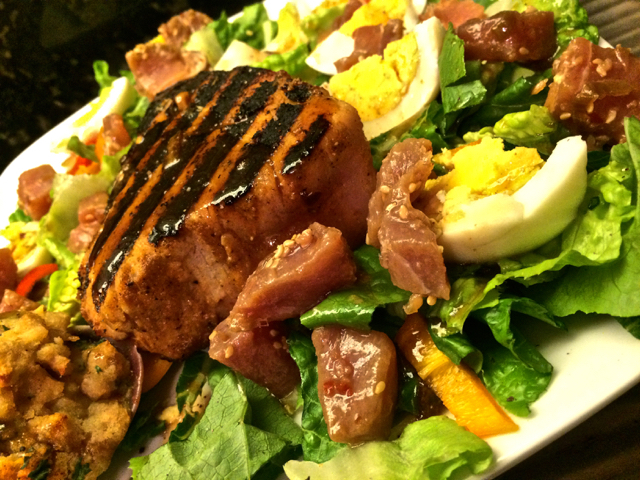 Fresh Grilled Tuna with Poki on Romaine/Kale Salad. Yes, it is that time once again to reflect on another year gone by. As always, the world of BBQ continues it’s impressive growth in many ways. We have seen BBQ/Grilling related TV shows thrive on Food Channels, and in unexpected places like Travel TV. Online BBQ Blogs continue to grow in both popularity and with a wider variety of material available on the info super-highway. Both established and new forms of Social Media continue to create new bridges for BBQ Enthusiasts throughout the world. Promoting HEROIC! while visiting the Frankenfood Food Truck in Los Angeles. For me, the Year 2014 has been a game-changer on many fronts. 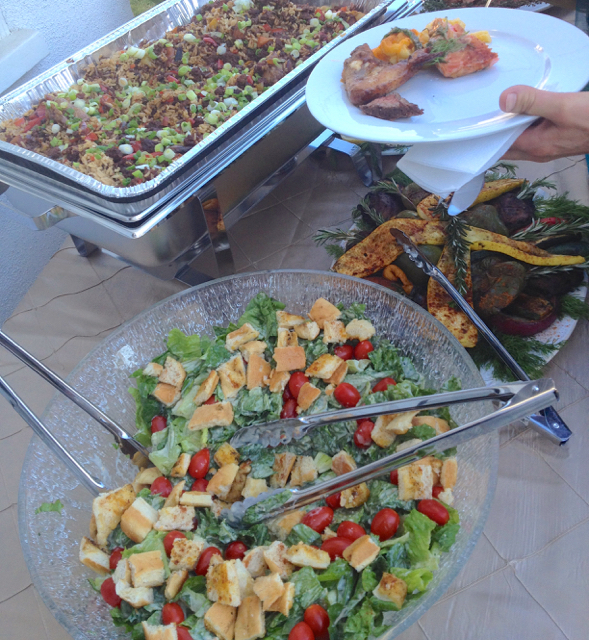 I had the opportunity to cater many events for a nice variety of new clients, along with old favorites. 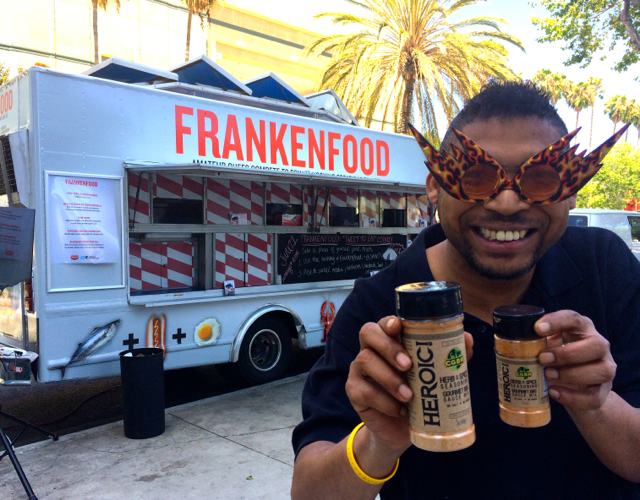 My BBQ Rub company expanded to offer a healthier alternative- HEROIC! Rub, which has been very well-received. I also had the chance to attend my first Gluten Free Expos and meet some of the exciting leaders of this Food Movement. I competed in my first-ever television Cooking Competition on Spike TV, and was featured in their humorous online video. Finally, had the pleasure of checking out BBQ in Chicago, New York, Las Vegas, Puerto Vallarta (Mexico), Toronto (Canada), as well as new spots here in Los Angeles. A Guest at Catered BBQ Wedding takes small servings of Smoked Waygu Steak and Salmon, leaving plenty of room on the plate for Salad and Grilled Veggies. 1. Showing More Appreciation– Sounds simple, but the busier I get with ongoing projects, the simpler it gets to just put out Blog after Blog. This year I will make a bigger effort to keep up with reading fellow Bloggers, as well as staying in contact with followers of my Blogs. 2. Celebrate Healthier Eating– There is always a place in my heart (and my tummy) for the Traditional BBQ we grew up with, even with the fat and sugar. However, it is always my mission to find satisfying alternatives that offer big taste, with fewer Calories. I regularly offer Vegan, Vegetarian and Gluten Free Recipes. Will do my best to make them even better. 3. Do Diabetic BBQ– You haven’t heard of Diabetic BBQ? Sounds delicious, huh? 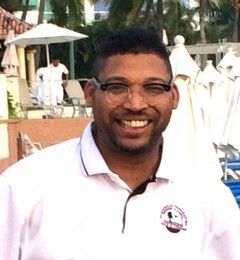 Due to family reasons, I will be adding Diabetic-Friendly BBQ Recipes in the upcoming year. Though new to me, it isn’t too far from what I already do- grill with Superfoods whenever possible. These Recipes will consist of Veggies on 1/2 the plate, 1/4 with a healthy Starch and 1/4 with a lean Meat (protein). The big difference is making Meat the “Side Dish”. No more loading my plate with various BBQ Meats and Cheesy Potatoes (or Macaroni), saving a little room on the side for creamy Cole Slaw. 4. Share More of Your Recipes– Over the past year, I have had the privilege of making contact with many talented Food Bloggers, as well as Home Cooks. A few of their Recipes already appear on my blogs/websites, but there are so many more to share. You will be seeing them in the upcoming months. 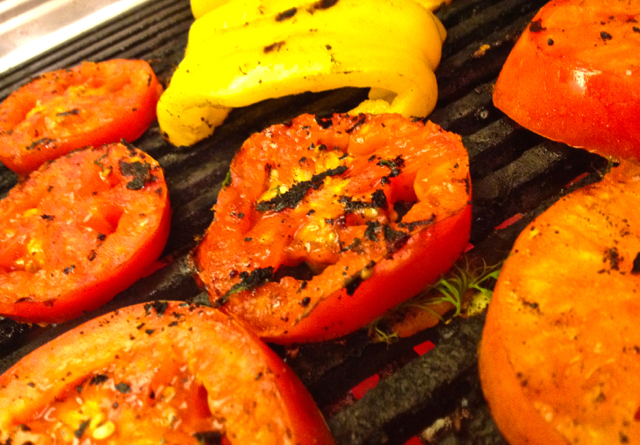 For a twist, try Grilling your Tomatoes and Peppers before added them to your Sandwich, Salad or favorite Recipe. That is it for now. I am looking forward to having more exciting and delicious adventures in the New Year 2015. Hope the same for you. Of course, BBQ will continue to grow and thrive in all-new ways. Wishing you the Best. Until next time, Eat and Be Well.